Scheduled to open its doors to the public in April 2019, LEGOLAND Malaysia Resort’s latest attraction, SEA LIFE Malaysia is one step closer to completion as it welcomes 23 species of fishes to its exclusive Malaysian Rainforest habitat zone. This is just the tip of the iceberg as SEA LIFE Malaysia is expected to house 13,000 marine creatures from 11 different habitat zones and these larger fishes will be brought in once the first group of fishes are accustomed to the new environment. Also, SEA LIFE Malaysia will be the only interactive aquarium in the region to incorporate a fun and unique twist using LEGO elements! 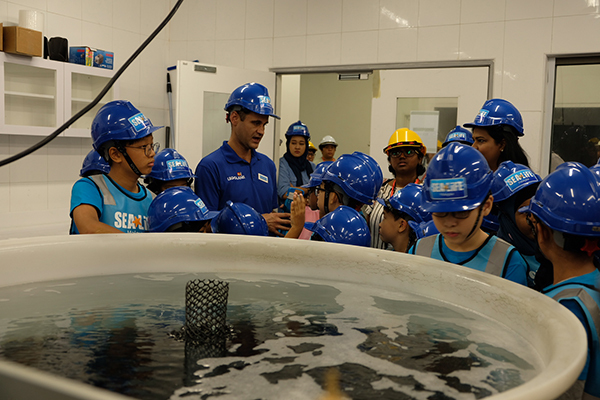 The aquarium aims to cultivate the importance of marine life conservation amongst visitors, especially the children through interactive experiences such as hands-on tutorials. To name a few of the key habitat zones that will be featured at the aquarium aside from the Malaysian Rainforest are the Tropical Stingray Bay, Coral Reef, Ocean View, Johor River and Ocean Tunnel. All these zones have distinctive features that are ought to be marveled at. For starter, you might stumble upon the largest flower in the world, Rafflesia as you traverse through the Malaysian Rainforest zone!